The NHS commissioned the building of a new £15million blood Centre in Barnsley. We were chosen to provide the 153 kw flat roof mounted solar panel system as part of ensuring the project delivered on energy efficiency. 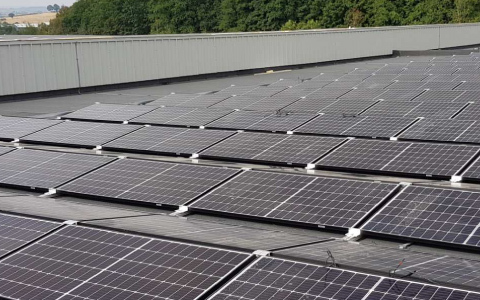 Using a low ballast system to reduce stresses on the new roof and without penetrating the membrane and affecting warranties we installed 556 panels to generate 137,700 kwh a year saving 68 tonnes of Carbon annually for the next twenty years and beyond. The system will create a financial benefit of £ 15,150 a year fixed and index linked for the next twenty years saving over £ 350,000 on their bills.